Originally a BBC landlord site, BBC 2 entered service on 24th October 1966. BBC 1 was added in September 1970, ITV from 15th November 1971, Channel 4 from February 1985 and Channel 5 from September 2003. DTT (OnDigital) was added in 1999. DSO was on 4th and 18th April 2012. 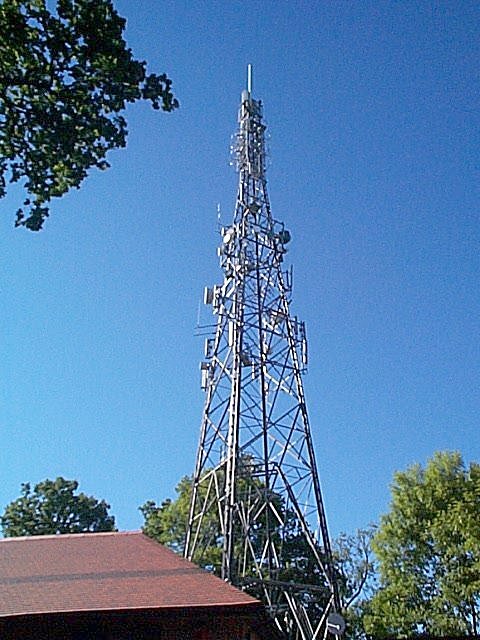 ILR Reigate and Crawley (Radio Mercury) launched on 20th October 1984 on 103.6 MHz, about the same time BBC Radio Sussex commenced transmissions on 102.7. Mercury changed to 102.7 MHz on 22nd October 1985, and BBC R Sussex moved to 104.0. DAB service dates: BBC, 27th September 1995; Digital One, 23rd September 1999; London 1, 13th June 2000; London 2, 23rd November 2000; London 3, 18th January 2002; Surrey, 12th December 2013; Sound Digital, 29th February 2016. 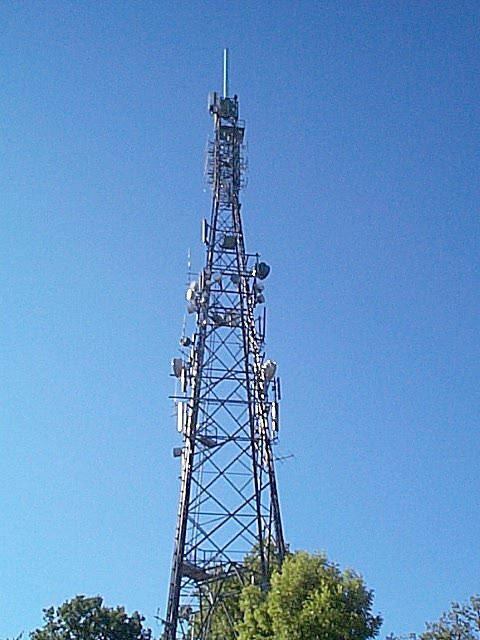 All broadcast services are from the tower on the right. 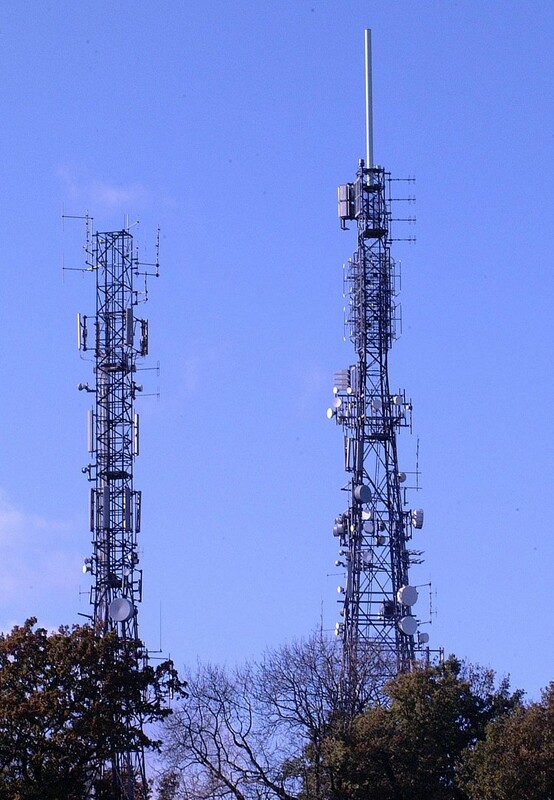 Both structures are now managed by Arqiva.